"Your Absolute Comfort is Our Goal"
Your Air Conditioning & Heating Professionals in Lewisville and the surrounding area. Welcome to the website of Climate Care Air Conditioning & Heating your Lewisville heating and cooling experts for over 25 years. Serving North Texas including the cities of Carrollton, Coppell, Flower Mound, Highland Village, Irving, Lewisville and Valley Ranch, we are proud to offer full service air conditioning and heating services. Climate Care Air Conditioning & Heating is certified by the EPA and an American Standard customer care dealer. We are happy to assist you with all your HVAC needs. If you have questions or would like to schedule a consultation please contact us at 972-353-5257. For your convenience, feel free to request services from this site. 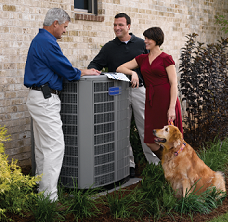 Tim, Judy, and Michael have been taking care of our heating and A/C systems for more than 20 years. They are punctual, helpful and do a great job every time! When we needed to replace our A/C unit we shopped around and they were thousands less on the identical system as another company. We have been using Climate Care for over 20 years. Judy & Tim are always friendly & do outstanding work. Have referred all my friends to them. We will continue to do business with them. We have used Climate Care for several years. They are helpful on the phone and in person. They arrive at the time they tell you they will arrive. They explain what is wrong and what needs to be done. I recommended them to a friend today and my friend was very pleased them as well. Including repair and new system installations in Lewisville, Texas, Climate Care Air Conditioning & Heating also offers a safety and efficiency service agreement that provide routine tune-ups and safety inspections of your HVAC system. Whether we are repairing your existing system or installing a brand new one in Lewisville, we not only realize your investment, but also understand your comfort is always a top priority. Our Safety and Efficiency Service Agreement ensures exactly that! Servicing all air conditioning, heating and HVAC systems. 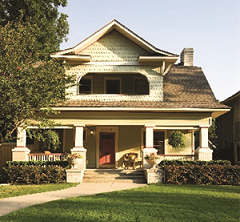 We offer fast, reliable, competitively priced service in North Dallas when you need it the most. *Emergency services also available. Click here for more information. To ensure optimal efficiency and continual comfort, your air conditioning and heating system should receive routine preventative maintenance inspections bi-annual. As a customer care dealer of American Standard, you can have the peace of mind that we are installing only the very best in air conditioning and heating equipment. 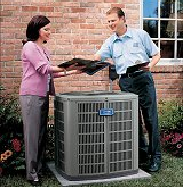 At Climate Care Air Conditioning & Heating, we are committed to your total satisfaction. Including a flexible scheduling availability, Monday - Friday from 9:00 a.m. to 6:00 p.m. and emergency service if needed, Climate Care Air Conditioning & Heating will gladly be at your service. We hope that you enjoy your tour of our website and we look forward to serving you in the near future!